As part of the countdown to the Week of Hockey Stars in Astana, we at khl.ru are taking a nostalgic look back at the nine previous All-Star Games. 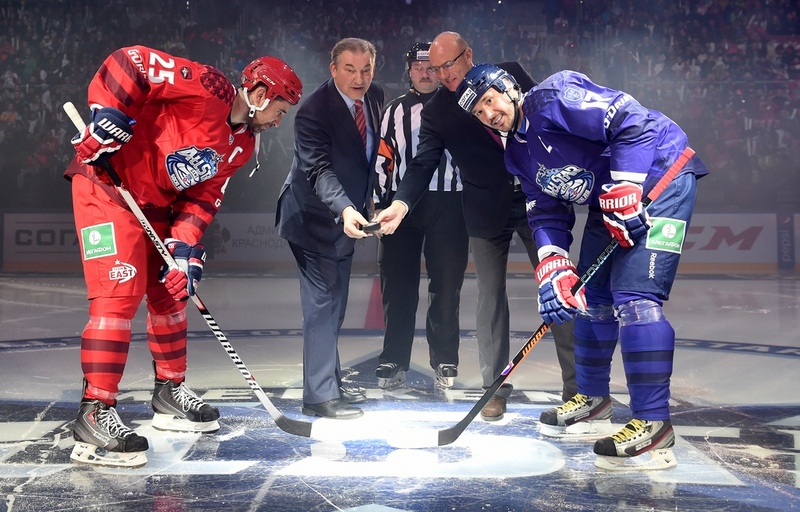 Yesterday, we revived memories of the 2014 event in Bratislava, so today we look back on the seventh All-Star Game, hosted by Russia's Black Sea resort of Sochi. After the All-Star Game in Bratislava, there was even talk of choosing another western outpost of the KHL, Zagreb in Croatia, for the 2015 event, but on reflection, Sochi was the obvious choice. 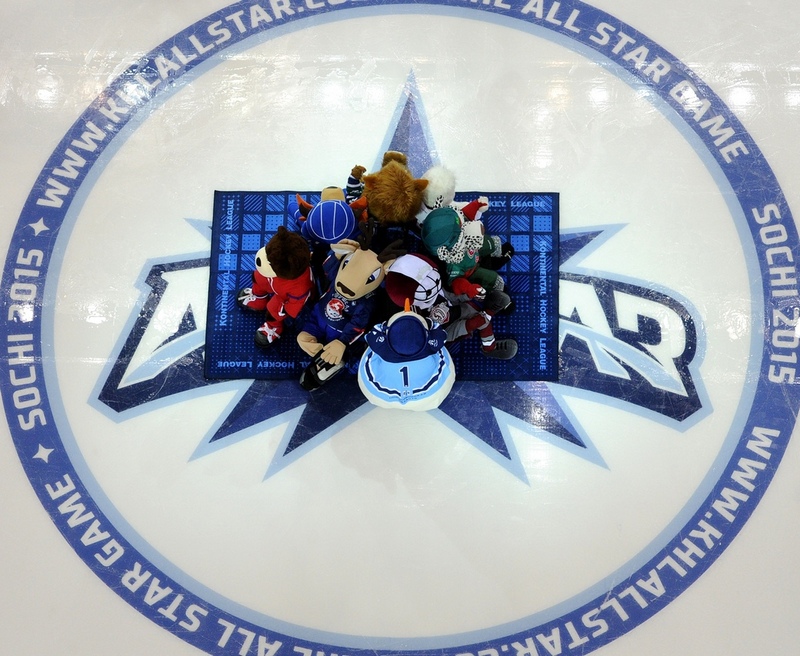 The All-Star Game had travelled west to Europe, East to Siberia, and North to Saint Petersburg, but not down South, and the city by the Black Sea had the League's most modern arena and had emphatically demonstrated its ability to host a big sporting event with its hugely successful staging of the 2014 Winter Olympics. The night before the main event, the packed program of festivities got underway at the Shayba Arena with an exhibition game featuring Russia’s finest sledge hockey players, including some of the heroes who had made history when they captured the silver at the Paralympics - Russia’s first ever medal in the event. This match, between the Moscow outfit, Zvezda, and Udmurtia, a team from Izhevsk, was a closely fought contest and had to be settled by a shootout. In the post-match duels, the goalies were on top until a successful shot from Igor Lomakin sealed victory for the Muscovites. One of the most curious statistics regarding the rosters was also a sign of things to come. No fewer than four of the All-Stars were from HC Sibir, and the Novosibirsk Men had a representative in every position: goalie Alexander Salak, defenseman Patrik Hersley, forward Dmitry Kugryshev, and even one on the bench: Team East assistant coach Andrei Skabelka (assisting “Iron” Mike Keenan). None of the players had been chosen in the fans' vote for the starting lines, but they were certainly selected on merit. In the post-season, Andrei Skabelka led his unfancied team to the Conference semi-finals and a bronze medal. Cynics sometimes suggest that the All-Star Game is a meaningless encounter, and that the players would rather spend the season break on vacation, but that myth was dispelled in 2015 during a row over the Team East captaincy. 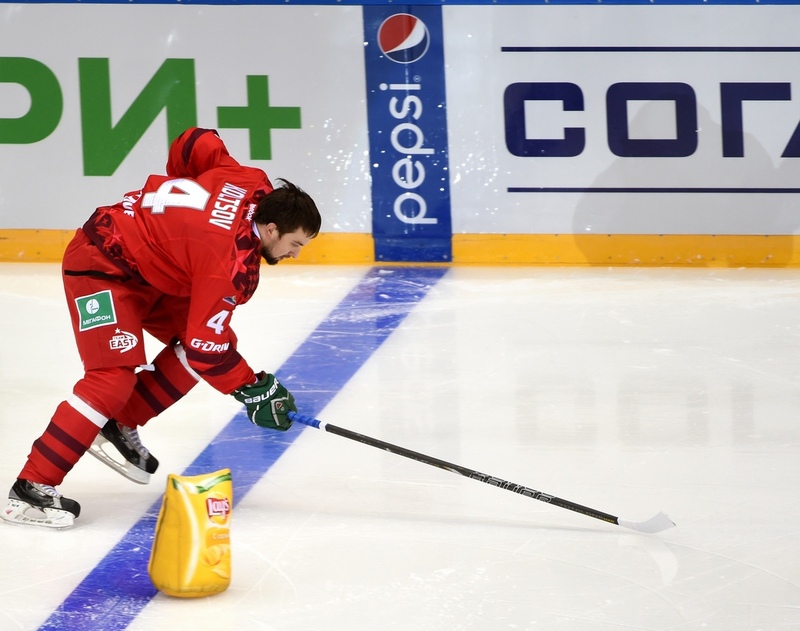 Salavat Yulaev defenseman Kirill Koltsov was the most popular player in the fans' vote, but when the captains were announced it emerged that the honor would be bestowed on Jan Kovar. An angry Koltsov felt he had earned the captain's patch, and he even started packing his things, but thankfully, his cool head conquered his raging heart and he dutifully took to the ice. Kirill even played in a five alongside Kovar and gave an excellent performance, providing a hat-trick of assists. Not everyone was destined to share Koltsov's good fortune. Three unlucky players - Alexander Radulov, Artemy Panarin, and Jonathan Cheechoo – had to withdraw at the last minute due to injury. 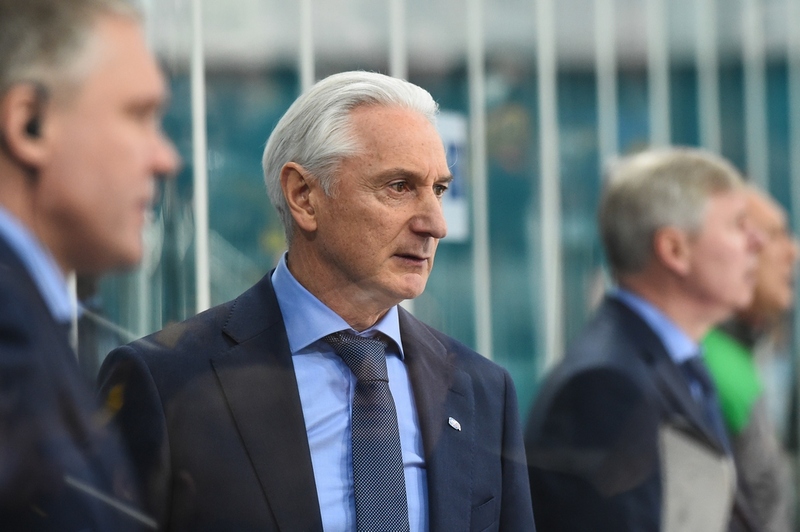 Another high-profile absentee was Ak Bars coach Zinetula Bilyaletdinov, and not because of medical reasons: the two-time Gagarin Cup winner was head coach of Team Russia in the Sochi Olympics, which turned out to be one of the low points in the specialist's long career. The memories of Russia's quarter-final defeat at the hands of the Finns, here at Sochi's Bolshoy Ice Dome, were still too painful. Not since 2010, when Karel Rachunek triumphed in Minsk, had a non-Russian taken first prize in the popular Hardest Shot competition. That winning streak for home-grown players finally ended when a then-unknown Swede, Sibir defenseman Patrik Hersley, loudly announced his arrival in the KHL when he won the event with a shot measured at 164 km/h (Approx. 102mph). The Master Show produced the undisputed highlight of the entire weekend, and if views on social media are among the most important judging criteria, then one of the most spectacular moments from any All-Star Game. It came in the Shootout event, when young Ugra forward Nikita Gusev produced a stunningly graceful "dragon's tail" move and feint to send the goalie (and indeed, the stadium) the wrong way and the puck soaring into the top corner of the net. 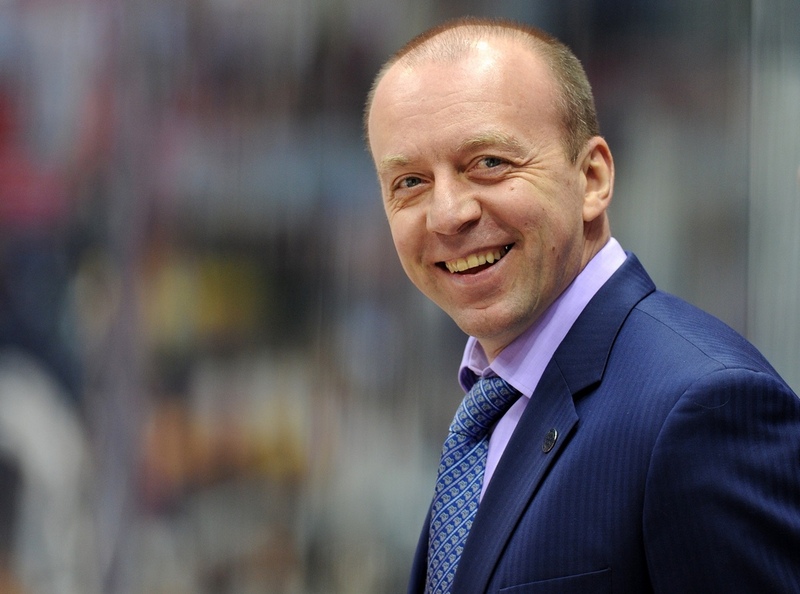 Within days the number of viewers who had watched Gusev’s spectacular goal on YouTube had exceeded five million. Curiously, Gusev's masterpiece did not win the contest. The prize went to Dynamo Moscow defenseman Andrei Mironov, a player best known for his bone-crunching “windmill” hits on forwards who trespass in the Blue-and-Whites' zone. His first attempt was made while dressed in a goaltender's uniform, complete with goalie's stick and mask, and all borrowed from team-mate Alexander Yeryomenko. And for his second try,Yeryomenko ferried the lazy D-man to the goal in a grocery store's shopping cart, the cheek and humor of which won the hearts of the jury. Had Bilyaletdinov made it to Sochi, he would have been coach of a team spearheaded by Sergei Mozyakin, whom he had left out of the Olympic roster, saying, “He wouldn't even get near the goal.” Mozyakin had a much happier beginning to 2015 than 2014, scoring six goals at the Bolshoy Ice Dome and being named the All-Star Game's MVP. The great sniper's goals accounted for a third of Team East's total as they claimed a narrow 18-16 victory. “If they decided to copy the NHL and reward me with a car, then I wouldn't say no,” joked the master marksman, whose performances in All-Star Games are unmatched and whose multiple records will probably stand for some time.